The insider, who worked on several large projects funded by EDC, claims it was an “open secret” within SNC-Lavalin that “technical fees” listed in budget proposals included cash to be used as bribes to secure international contracts. Those line items could total millions of dollars. The insider says EDC’s internal due diligence policies should have detected something was going on. He says “technical fees” were part of a larger “lexicon of bribes” used within SNC-Lavalin. EDC has denied knowledge of any improper payments, but last Friday said it is taking a closer look at a 2011 deal with SNC-Lavalin involving a $250-million project to refurbish the Matala hydroelectric dam in Angola. EDC provided the Quebec-based company with “political risk insurance” for the project. “We would never, under any circumstances, knowingly participate in a transaction tainted by bribery or corruption,” David Bhamjee, EDC’s vice-president of corporate communications, wrote in an email. 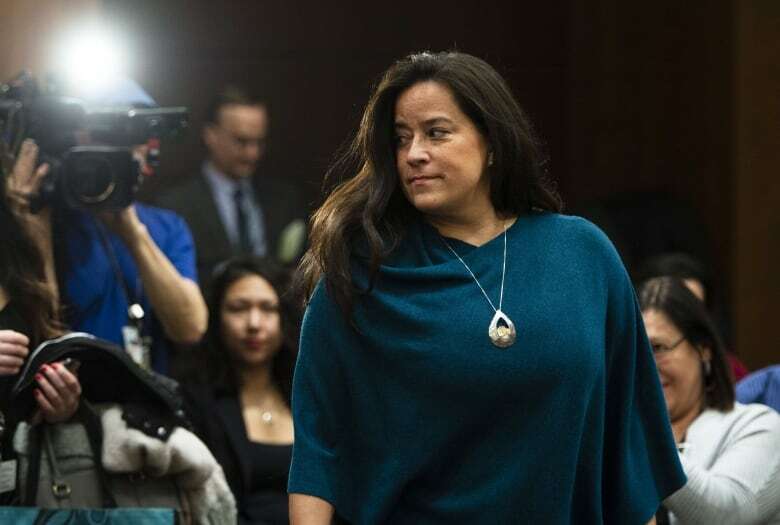 The SNC-Lavalin insider’s allegations come as a political storm rages over accusations Prime Minister Justin Trudeau replaced his attorney general for refusing to intervene and spare the company a criminal prosecution on fraud and corruption charges. CBC News has agreed not to identify the insider because he fears losing his job. He says EDC support was vital for the success of construction projects in underdeveloped parts of the world known for corruption. The projects included airports, power plants and dams, and the EDC loans to SNC-Lavalin ranged from a few million dollars to upward of $500 million. He says the problems with the technical fees should have been caught by EDC auditors for two reasons. First, he says, they were listed as Canadian expenses, but a portion flowed to consultants or “agents” on the ground in foreign countries to help the company win contracts. The second red flag, he says, should have been the sheer size of the technical fees, which could total as much as 10 per cent of a project’s overall budget. “That’s a lot of steak dinners,” the source quipped. In 2013, CBC News and the Globe and Mail exposed a similar scheme inside SNC-Lavalin. Some budgets included items called “project consultancy costs” or “PCCs.” The code was used to mask secret payments for projects in Africa, India, Cambodia and Kazakhstan. SNC-Lavalin admitted to CBC News those PCC payments were “improper,” and in 2015, paid a $1.5-million penalty to resolve allegations it bribed public officials to win road projects in Uganda and Mozambique that were funded by the African Development Bank. None of the projects tied to PCC payments was funded by EDC. EDC insists that if it learns its funding is being used for bribes or corruption, it cancels the deal. The Angola dam project first came under scrutiny in 2013, when an SNC-Lavalin employee fired from the job filed a lawsuit claiming the company had covertly paid a 10 per cent commission to win the contract. SNC-Lavalin settled the suit out of court. It is unclear what steps, if any, EDC took to examine the deal at the time. The insider recalls there was tension within SNC-Lavalin because numerous bribery scandals involving the company had made headlines. “There was a lot of breath-holding,” he said. 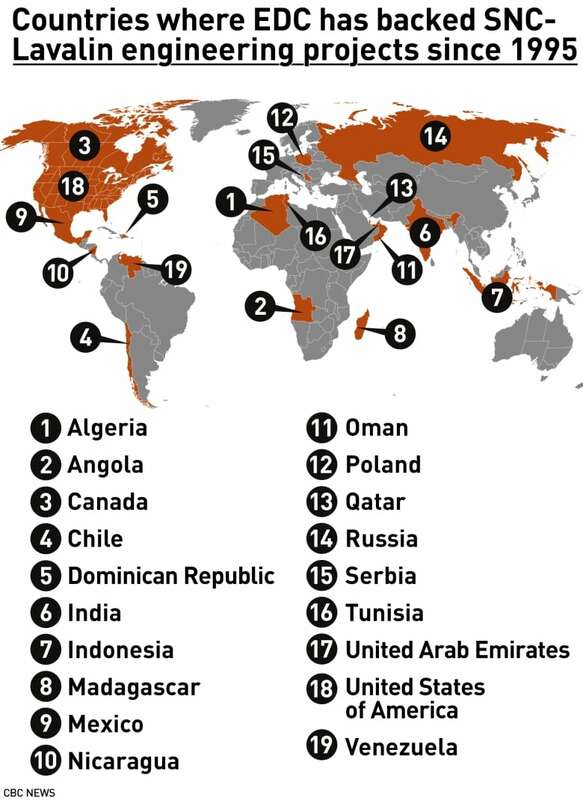 “Some of the projects that were investigated … were projects overseas that were financed by EDC. EDC announced last week it will now review its role in the Angola project, after receiving questions from CBC News. The agency says based on that review, it could expand its probe to look at other past agreements with SNC-Lavalin. In the past, SNC-Lavalin has blamed rogue employees for problems with the Angola project. This week, the company declined to answer a list of questions about its use of technical fees on other EDC-backed projects. However, EDC says it did not begin scrutinizing these types of fees until 2006, when the Organization for Economic Co-operation and Development issued a warning about their potential abuse. “We remain confident that the processes we undertook throughout our financing history with the company were sound and adhered to best practices of the day,” wrote EDC spokesperson Jessica Draker. Over the past 25 years, EDC has provided as much as $4.7 billion in loans to SNC-Lavalin for ventures in Europe, Africa and Latin America, making the company one of the largest recipients of taxpayer-backed loans. EDC concedes it was slow to suspend funding for new SNC-Lavalin projects, which it did from late 2014 until 2017, as the company faced multiple scandals. The World Bank sounded an alarm in 2012 over allegations SNC-Lavalin tried to bribe officials in Bangladesh. It has banned the company from bidding on World Bank projects until 2023. “In the years leading up to our suspension, we became increasingly concerned about the myriad allegations facing the company,” said EDC’s David Bhamjee, noting EDC did beef up monitoring of SNC-Lavalin deals. “We could have — and perhaps should have — suspended business earlier,” he said. 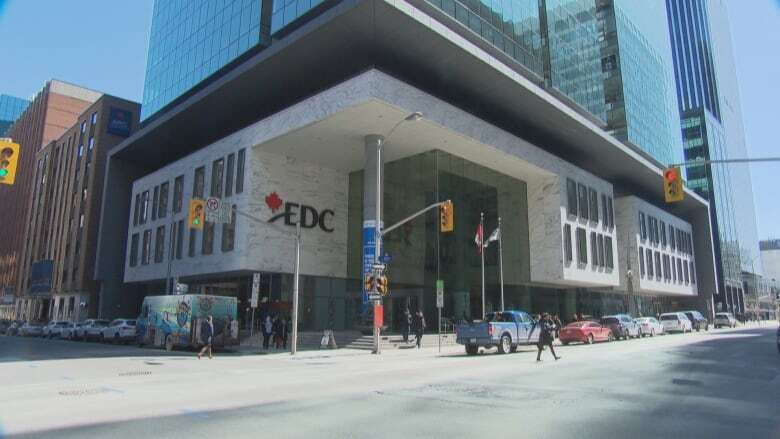 EDC only resumed doing business with SNC-Lavalin in 2017, after the company overhauled its internal accounting and whistleblower policies, he said. The head of Toronto-based watchdog group Probe International says if there’s any truth to the allegations EDC money was used for bribes, it implicates all Canadians. However, Adams says all of its debts and liabilities are backed by the government. Adams says the public has very little idea of how the Crown agency operates. 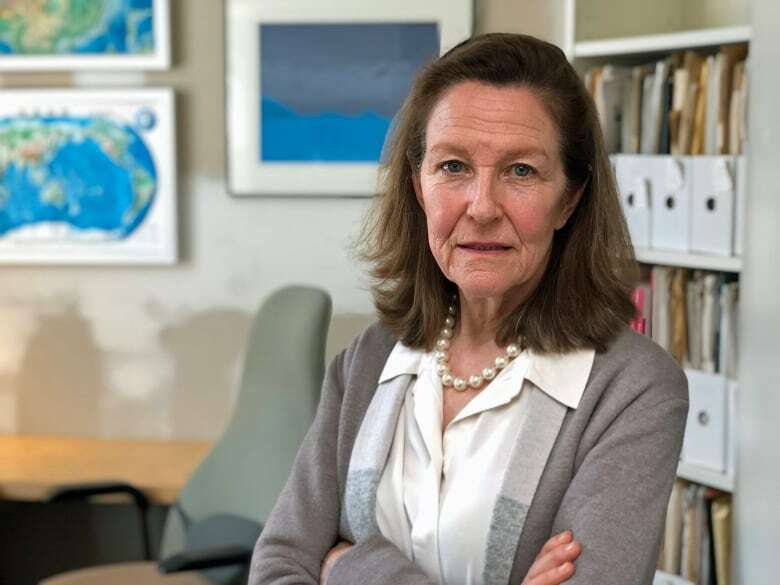 “[It] is a secretive institution that sets its own rules and standards and regulates itself, with little public oversight,” she said. One EDC-backed SNC-Lavalin project is currently under investigation by the RCMP. The case dates back to the early 2000s. RCMP investigators believe SNC-Lavalin funnelled $2.3 million from a contract to build an airport hangar in Algeria to pay bribes in Canada, according to a search warrant issued last year. Michel Fournier, the former head of Canada’s Federal Bridge Corporation, which maintains several of the country’s largest overpasses, has already pleaded guilty to accepting the money in exchange for helping SNC-Lavalin win a $127-million contract to refurbish Montreal’s Jacques Cartier Bridge. Send tips to dave.seglins@cbc.ca or rachel.houlihan@cbc.ca.